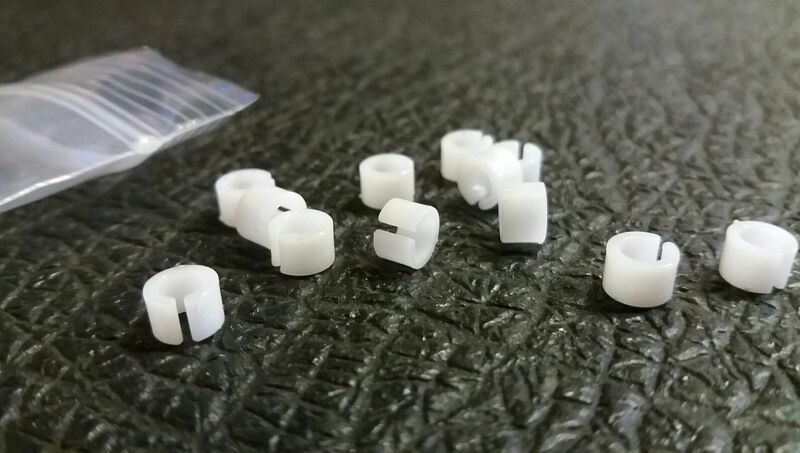 These are the 2 x plastic / nylon washers that fit on the end of the trem arm. Also sometimes referred to as trem arm collars, bushes, bushings, clips etc. These bushes push fit to the end of the trem arm but over time and with use they wear and the trem arm starts flopping about in the socket. Other adjustments MAY be required of course, but if you suspect the bushes are worn then this is what you need. These are 100% official and genuine Ibanez spare parts purchased from Ibanez. NOTE: the tremolo arm is NOT included, neither is the guitar. This is just for the white plastic / nylon trem arm bushings.